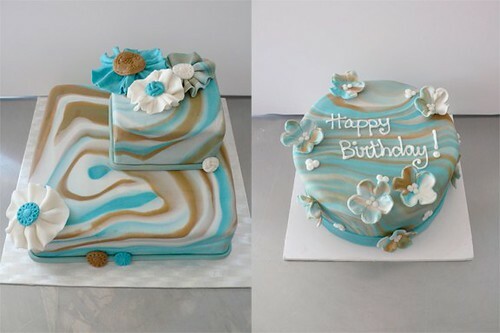 Marble Cakes, originally uploaded by CAKE Amsterdam - Cakes by ZOBOT. Marble Effect Fondant cake made for 2 really good friends of mine! Happy Birthday Brigitte and Sean!